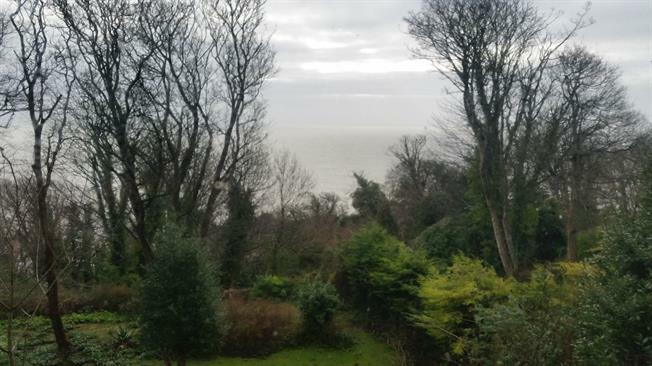 Detached House For Sale in Ventnor for Offers in excess of £200,000. The home will be constructed with the living area on the upper floor and so benefitting from the stunning sea and countryside views. There will be a beautifully fitted kitchen with modern appliances and roof windows to allow natural light to stream through the room. The lounge and dining area will be open plan to the kitchen, creating perfect entertaining space for family and friends alike. Full bi-folding doors will open onto the balcony, again making the most of the sea and countryside views. The garage and workshop will be on this level, with an integral door to the hall, which will be easy for bringing in the shopping or for getting into the car and remaining dry. On the ground floor will be the four bedrooms, the master bedroom having an en-suite bath and shower room, and double doors out to the patio. Bedroom two also has an en-suite shower room and double doors out to the patio. Bedrooms three and four have the family bath and shower room. The utility room on this floor will have washing facilities, and storage, ideal for boots and coats. There will be a side door leading to the garden. To the front of the home is the bicycle/garden store with double doors to the front. We are sure, that this home will be the envy of many, so if you are thinking of buying this beautiful house then do be quick, have a look at the site and if you have any questions then please do call our sales team who will be only to pleased to help.